Behavioral retargeting is a form of online targeted advertising by which online advertising is targeted to consumers based on their previous internet actions. Remarketing helps you reach people who have visited your website or used your app and abandoned their cart. Previous visitors or users can see your ads as they browse websites that are part of the Google Display Network, or as they search for terms related to your products or services on Google. 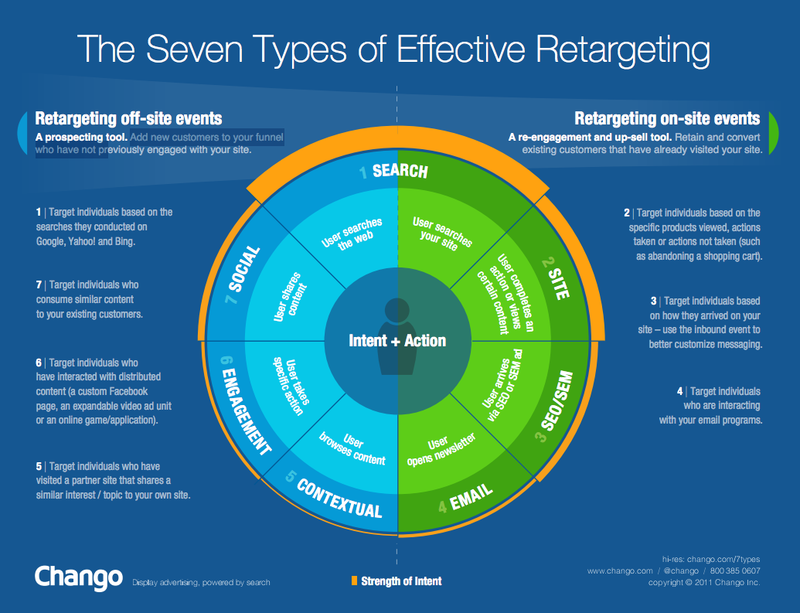 Retargeting and remarketing, these two terms tend to be used hand-in-hand. However, retargeting tends to describe online ad placements that are served to those who have recently visited your website. Remarketing is primarily used to re-engage customers via email or social media, especially those who abandoned their cart or alternatively to those who just made a purchase and now you are segmenting a follow-up to maximize your profit. Remarketing is for upsells, cross sells and customer lifecycle marketing via email. The common mistake many businesses make with their ecommerce website is the lack of remarketing and retargeting. Many ecommerce websites use Facebook Advertising and Google AdWords to drive traffic for lead generation and commerce. This marketing tactic has an immediate positive effect on site traffic and can boost on-page time and bounce rate if properly optimized. However the real benefit comes in how that traffic was retargeted based upon the original advertisement they clicked on and the action taken or not taken on the landing page or offer page they were driven to. It is the advertisement that follows them or the immediate response they receive from your marketing automation system that increases conversion rates. Not using this retargeting and remarketing is one of the most common mistakes we see on ecommerce websites. Many ecommerce websites spend an enormous amount of time and money driving traffic only to dismiss the opportunity to drive the visitor back to their website. In our view that business is doing the right thing by following the latest lifecycle marketing techniques, but is missing conversion opportunities when the shopping cart is abandoned. The options available for ecommerce websites are increasing every year as this marketing tactic begins to mature in acceptance. The Google Display Network, Facebook, Twitter, LinkedIn and Instagram are some of the key players. Your buyer persona should be a key factor in the platform(s) you use. Revisit your strategic marketing plan and analyze your current customer journey and buyer persona. Where do they hang out, both personally and professionally? What sources of information do they use to help with their problems? What marketing channels does your target audience prefer? Once you determine the best tactical platform, you need to study a key metric, conversion rate. You have to know how many website visitors does it take to generate one qualified lead. How many qualified leads does it take to convert into a sale. What is your customer lifetime value? What portion of that lifetime value can be expended to obtain new customers? What is the cost for every one thousand impressions for your proposed display ad or equivalent marketing tactic? To boost the conversion rate and lower your cost, research best practices for refining your targeting, creative display, headline, copy and frequency. Retargeting off-site events. Perhaps those who have not engaged with your site. Individuals can be targeted based upon searches they conducted in all the major search engines. Target those who consumer similar content to your customer avatar, often through shares in social media. Target those who interacted with distributed content. These are users who take action with a custom Facebook group for example. Retarget those who visited a specific partner site or sister domain you own. Retargeting on-site events. This is a re-engagement tool often used in upsells. Target those who abandoned a cart. Target those based upon a specific inbound traffic event. Target those based upon email clicks to specific links. Your buyer persona demographics and other qualifying data will help you design customer audiences with your chosen digital advertising vehicle. Install Google Tag Manager / Facebook remarketing pixel on your website. With those tools you can create specific audiences based upon on site behavior. Furthermore, you will want to integrate your CRM with Facebook so that your target audiences stay in sync after you provide them with your contact list. From there you will be able to create look-alike audiences. Set your goals and objectives. Are you after increased traffic? Local awareness? Lead generation and nurturing? Video views? Make sure you are using the right tactic with the right objective. Also considering frequency, which is the number of times you will allow an audience to be shown your advertisement. Your campaign budget and list size will play a major factor with frequency. From here it can get highly technical. The key is to be granular, use UTM parameters in your URLs so that Google Analytics can help you with decisions, align your content and images with your audience age and gender and consider suggestions from the advertiser for reach expansion categories. Our experience has taught us that the best headlines are five words long, short copy is better than long. Accompanying text should range from fourteen to eighteen words. The best word to use is YOU. Make sure you link to a page that is very specific. The best advertisers have nearly 100 versions and they split test them to find the best results. It is a massive mistake to only run one version. A survey by MarketingCharts recently discussed the limited budget alternatives for small business owners and solopreneurs. 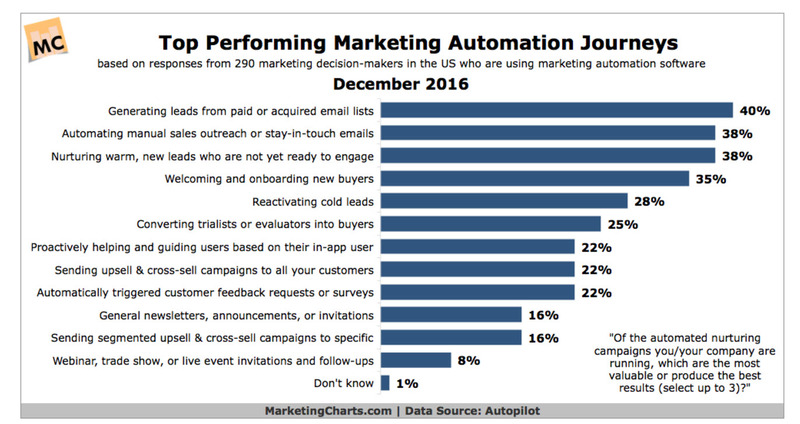 Marketing automation software is used by the highest performing marketers to send automated responses as a method of remarketing/retargeting as a way of supplemental Google AdWords or in place of when those funds are simply not available. Email autoresponders and manual outreach (using your phone) remains an effective alternative. In our next article we will discuss Conversion Rate Optimization and why businesses with an ecommerce website are making a big mistake with this tactic.